The International Association of Facilitators (IAF) is the worldwide professional body established to promote, support and advance the art and practice of professional facilitation through methods exchange, professional growth, practical research and collegial networking. 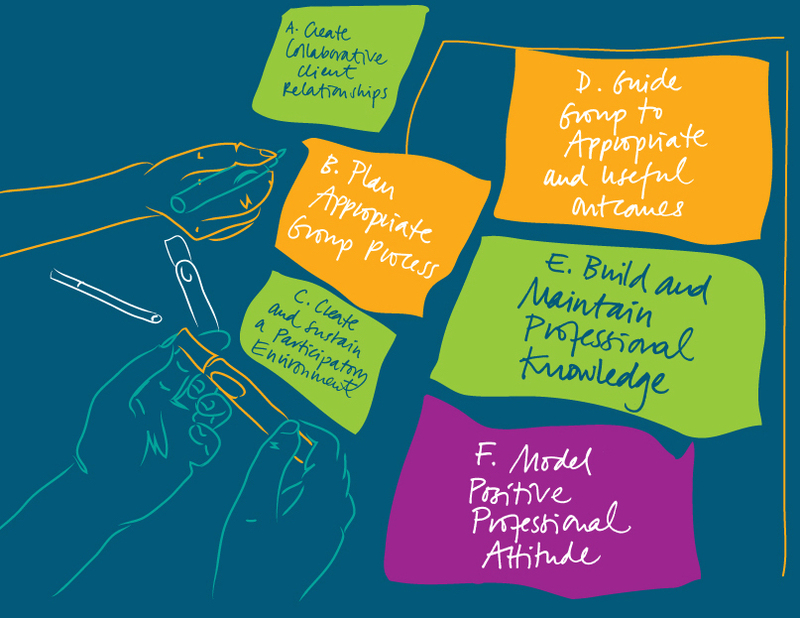 The Core Facilitator Competencies framework was developed over several years by the IAF with the support of its members and facilitators from all over the world. Tested over time, the six competencies form the basic set of skills, knowledge, and behaviours that facilitators must have in order to be successful facilitating in a wide variety of environments. In response to the needs of IAF members and their clients, the Association also established the IAF Certified™ Professional Facilitator (CPF) designation. This credential is the leading indicator that a facilitator is competent in each of the six Core Competencies for facilitators.